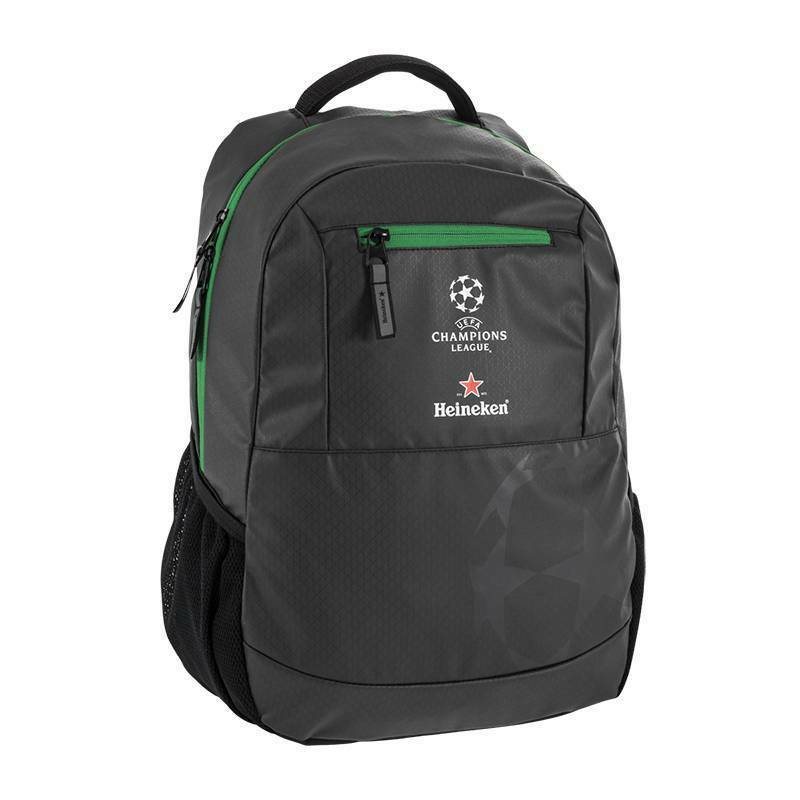 Show off your passion for the world's greatest football championship, by wearing the lightweight Heineken Champions League dark grey backpack. 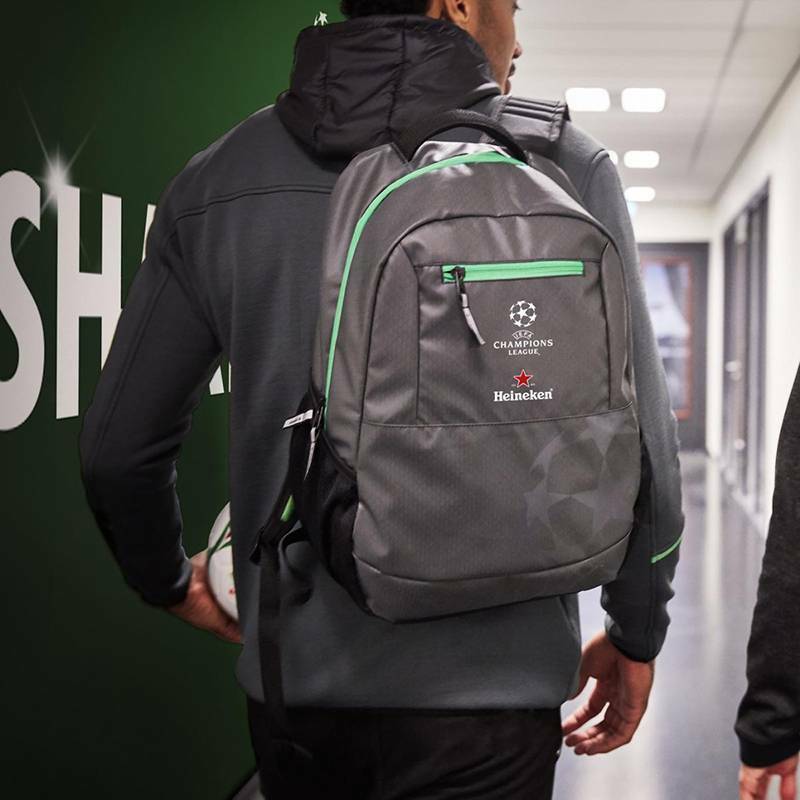 With a capacity to hold up to 17 litres, the bag is suitable for sports, travel and many other activities. Heineken pattern on fabric. 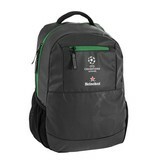 Heineken Champions League lock up logo and star ball logo on front panel. Heineken vertical brand logo on zipper pullers. Heineken logo on Heineken green. 600D polyester with PU backing, 210T polyester lining. 2 mesh side pockets, 1 front pocket.